THE number of people who died trying to reach Spain numbered 318 during the first half of 2018, almost three times the amount killed during the same period last year. About 27,600 migrants and refugees arrived in Spain between January and July. Around 23,800 of those came by sea and about 3,800 crossed the country’s borders by land, according to the latest United Nations (UN) figures. The total number of arrivals was almost 130 per cent higher than it was at the end of July 2017. About 12,100 people arrived in Spain during that time. A total of 113 of those died. The total number of arrivals in Spain between January and July was 700 off the total number of migrants who came to the country for the year in 2017. Around 28,300 people arrived in the country during 2017. The most common origin country of those coming to Spain was Guinea. About 3,100 people came from the west African country. Around 2,600 came from Morocco, 2,200 from Mali, 1,200 from Cote d’Ivoire and around 1,000 from Syria. The UN’s High Commission for Refugees (UNHCR) said in its latest Dangerous Journeys report that the western Mediterranean route via Spain was now the main point of entry into Europe. 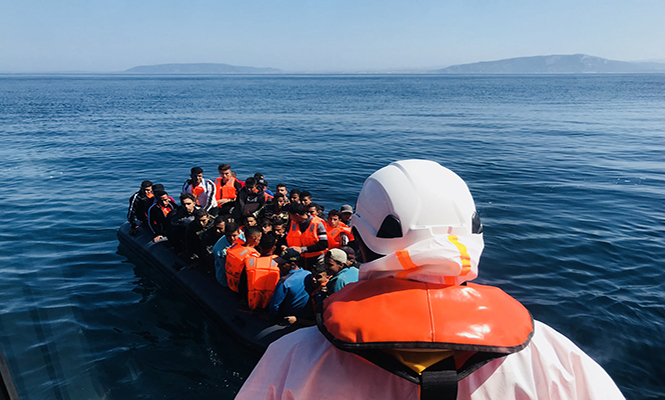 Around 26,000 people were registered in Greece and 18,500 arrived in Italy from January to July. A total of 1,512 people died while trying to reach Europe across all three routes. A total of 1,095 died while trying to reach Italy and 99 died while attempting to cross to Greece. The UNHCR said there was no conclusive evidence that the rise in those travelling through Morocco to Spain was caused by it being harder to travel to Italy via Libya. Arrival numbers in Italy have declined by some 81 per cent, according to data. The body added the total number of arrivals in Europe was lower than it had been in the previous two years. European states had taken measures to reduce irregular migration but they had not made it easier for migrants to enter through legal pathways, the UNHCR said. The body’s report said migrants came to Europe for a variety of reasons including to flee war or persecution, to be with family members or for work and education.